﻿ Heisey Glass Museum - Ohio. Find It Here. Stunning glass galore! 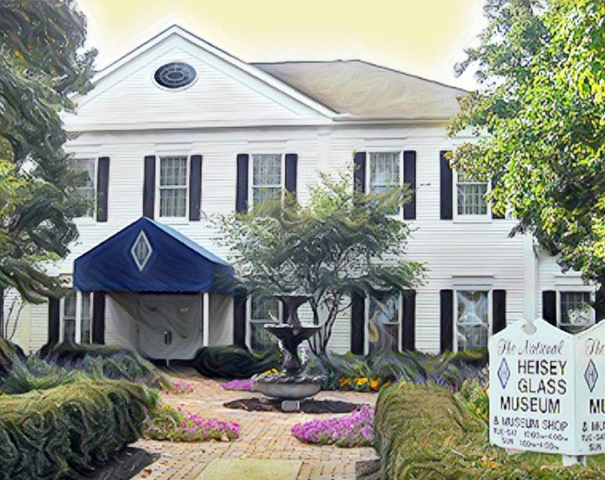 A fine collection with over 6,000 pieces of famous Heisey Glassware, produced in Newark from 1896-1957, artfully displayed throughout two adjoining buildings, including the historical 1831 King House. There are so many beautiful colors and designs to see, plus a DVD of Heisey's history, a gift shop including original Heisey, reproductions, unique items, and reference books. Located in Veteran's Park.